We made these during an art festival ("Mechel-Air") in the city of Putte (a municipality located in the Belgian province of Antwerp, Flanders, Belgium). Thanks Maggy for the portrait! 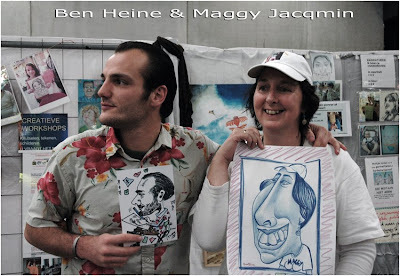 Maggy Jacqmin is a Belgian professional caricaturist I met some months ago at a workshop by Jan Op De Beeck.